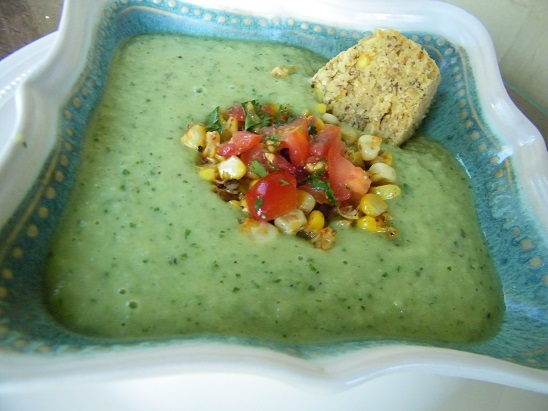 Green gazpacho served alongside some jalapeno cornbread. 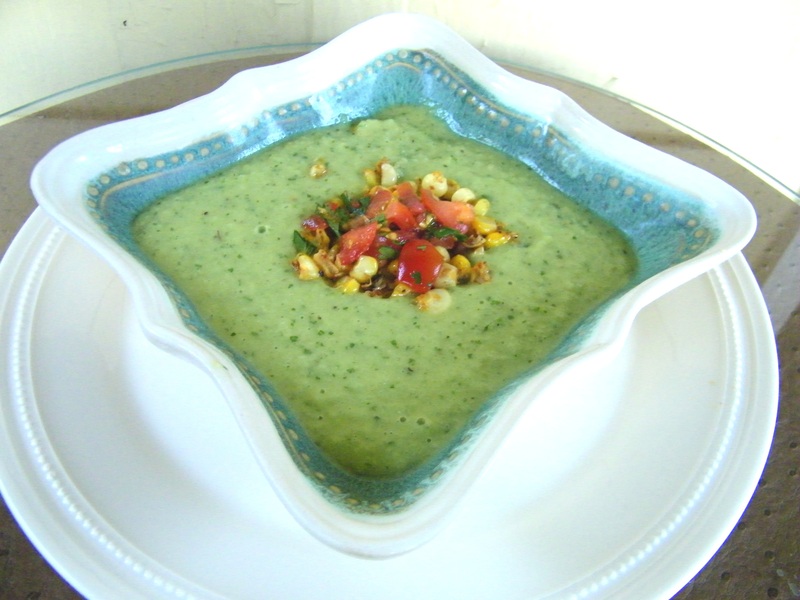 After prepping all of the ingredients, add them to a food processor or high speed blender and blend on high until the mixture is smooth. You may need to occasionally scrape the sides of the food processor with a spatula during blending. Top with a fresh salsa or sauteed/grilled corn (after cutting it off the cob, I sauteed my corn in a bit of olive oil, chili powder, salt, and pepper). Chill before serving and enjoy! I made it this midday & loved it so,much! It was superb even! Thanks again! You’re welcome. 🙂 I’m so glad you liked it. You must be constantly cooking to be posting and trying so many recipes! Always a joy I’m sure – especially when you finally get to taste your creations.